I received a sizable stack of CDs from Switzerland's Intakt label last year but only got a chance to write about a few of them. This one made its way into the CD player recently and I vowed to say something about it, even though it came out last summer. 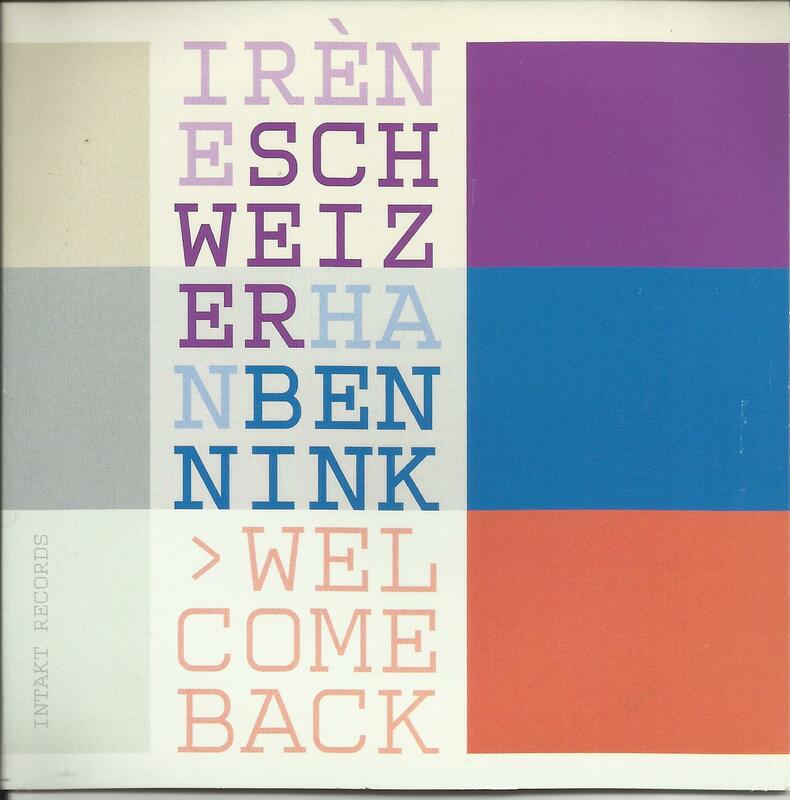 Pianist Irene Schweizer has released a number of discs for the Swiss imprint, playing with a variety of people. It's clear why: she's extremely versatile, able to move easily between structure and freedom, always with a sense of immediacy. Han Bennink is an ideal foil for her, as he's probably Europe's best drummer when it comes to sliding between hard swinging and smashing the pulse to pieces and putting the bits back together into something even more enthralling than it was when it began. One main reason that Welcome Back warmed its way into my heart can be attributed to the element of surprise throughout the album. The 14 tracks are compositions not improvisations, with all of the originals attributed to Bennink or Schweizer individually, with just two exceptions. Just when it seems that the piano and drums are taking a wild, free romp or going on a cat-and-mouse chase, the duo gets lyrical. Schweizer's chords in "Trap 5" have a rough beauty, and the arhythmical drums slowly shape into a stomp. "Bleu Fonce" finds them skating very close to Bobby Timmons' "This Here" definitely in groove, somewhat in melody. Thelonious Monk's influence runs through the album, even before they close the set with "Eronel" (which Monk buffs will know was not technically his, but lifted from Sadik Hakim). Schweizer uses Monk's bouncing-a-ball-off-the-wall rhythmic lick in one tune, closes another with tag worthy of Thelonious and brings his presence to Johnny Dyani's ballad "Ntyilo Ntyilo." "Meet Me Tonight in Dreamland" shows a great study in contrasts between the two musicians. The pianist plays the melody straight which Bennink sounds as if he's rummaging through his percussives, looking for the best thing to play, pausing to whistle, almost like a Tex Avery cartoon character, which may or may not imply what will happen in Dreamland once the meeting takes place. In just over two minutes, they've managed to show humor, sincerity and most of all depth. 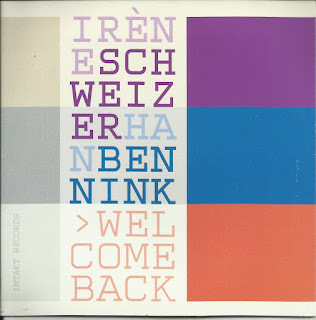 Speaking of depth, Schweizer and Bennink pay tribute to pianist Misha Mengelberg (Bennink's longstanding co-conspirator in the ICP Orchestra) with "To Misha With Love," which is then followed by a sweet reading of "I Surrender Dear." It all adds up to a session that should have been heard by more ears last year. Now's a chance for some rediscovery.